Diwali is the most famous and important festival. This festival represents the victory of good over evil, light over darkness and we celebrate it by decorating our home with beautiful home décor accessories like lights, candles, Rangoli, lamps etc. With all these things, it is also the best time to shop expensive accessories for your home because most of the sellers provide huge discounts on expensive accents like a handmade area rug. Not everyone can buy beautiful handmade carpet in normal days. So, for those people, it is the best time to buy area rugs online. They can save more than $300 if they buy it before Diwali. 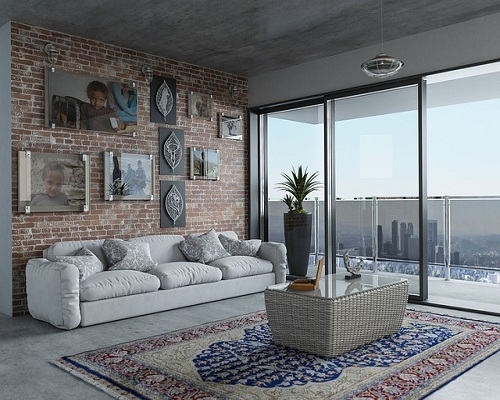 Handmade area rug is made in three type’s techniques- Hand knotted, hand tufted and flat-woven. Hand-knotted carpet is made on a handloom knot by knot and a hand tufted carpet is called cut-pile carpet. A traditional handmade rug is made using hand knotted technique because it contains an intricate design pattern with very tiny motifs and it is only possible in hand knotted technique. Hand-knotted carpets are highly durable and 100% hand washable rug. Hand tufted carpet is made on a handloom. For making a hand tufted rug, weaver attaches a frame to loom and after that makes a design on it which is called CAD. He takes a gun machine which is used to insert wool material into cloth frame. After completing this step, he uses a secondary cloth for providing strength to the carpet. Rugs and Beyond have added a New Carpet collection especially for Diwali and is providing huge discounts. Handmade dhurries are made using this technique. It is also woven on a handloom but a flat-woven dhurrie does not contain piles and knots. It is a single weft rug and that’s why it is very thin as compared to handmade carpets. It is 100% hand washable and highly durable dhurrie. It is reversible so you can use it from both sides. Rugs and Beyond is providing coupon which you can use for finding the best offer on your purchase. For Diwali offer, you can use RNBDIWALI18 and can get up to 50% off on your carpet. This is the best time to save your money. So, hurry up and buy your beautiful rug. This coupon is valid only till Diwali. Rugs and Beyond provides free shipping worldwide and this is one of their biggest USP’s. A handmade rug is a very heavy accent and the shipping charge is too high so take advantage of free shipping by buying your rug this Diwali 2018. This is the most suitable offer for those who want to buy two carpets together because Rugs and Beyond is providing +1 free rug with your order rug. It means if you buy a handmade area rug from Rugs and Beyond then they will provide you 1 free rug with your purchase.